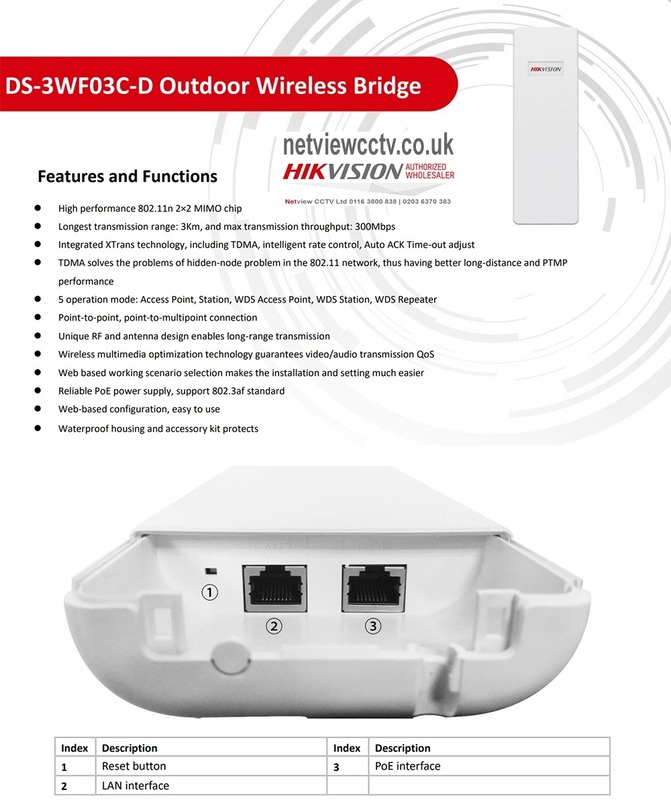 A set of DS-3WF03C-D devices allows for quick and convenient configuration of a wireless bridge between two LAN networks, eg in separate buildings. The set includes an access point and a client station. The devices work in the 802.11 a / n standard, and they have been equipped with powerful 2x2 MIMO antennas. Each of the devices is additionally equipped with 2 LAN ports, one of which enables powering the device and connection to the LAN network, while the other allows for providing access to the network to another device without using additional switches.